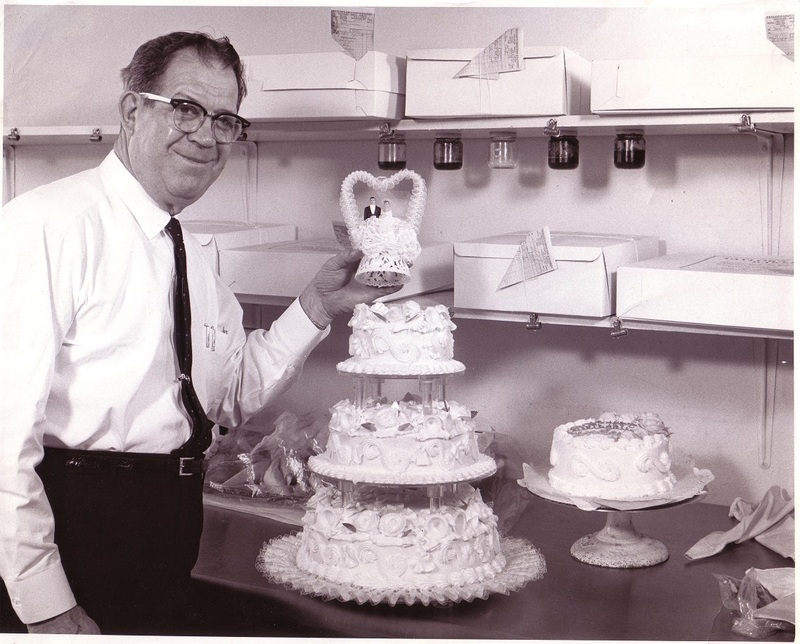 Dennis O. Taylor, founder of Taylor’s Bakery was born in 1877 in Goodman Ridge, Indiana near Marengo. His father passed away when he was two years old so he and his three brothers were needed to work on the family farm. Dennis attended school through the 6th grade. When he was 18, his mother passed away and at that point, he packed up and headed for Indianapolis. He worked several jobs including one in a small grocery at 3775 N. Illinois. Dennis then brought his bride, Amy Eleanor Taylor from Prospect Indiana (near French Lick) to Indianapolis and they established their home together near 38th and Illinois. In this home, Mr. Taylor started a small food business from the kitchen pantry. 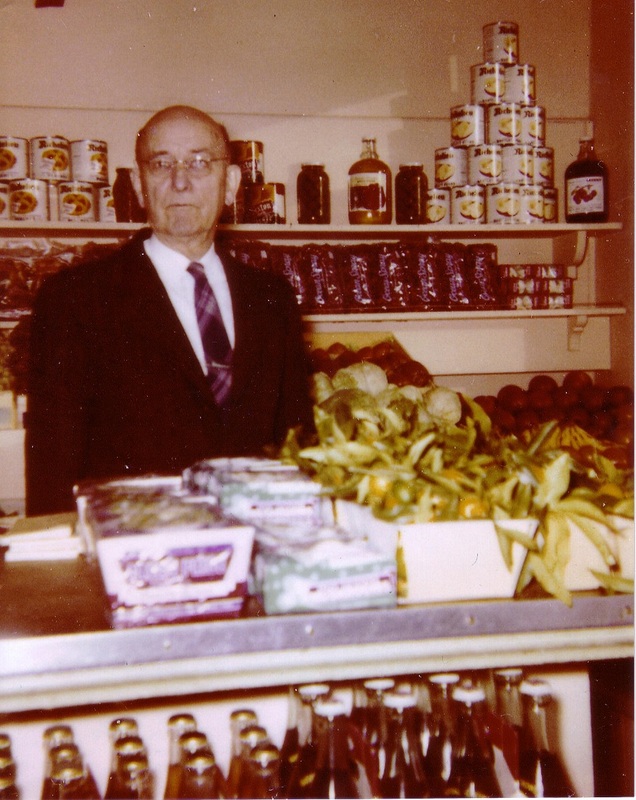 In 1913, he bought a grocery in the Mapleton community, at 38th and Illinois and remained there for many years with a flourishing grocery and bakery. Eventually, Mr. Taylor was joined in the business by his daughter Virginia Taylor Allen, his son-in-law, James Allen and his grandson, John. His daughter, Virginia, managed the Epicurean Foods section at the 38th street grocery, traveling several times to New York to procure unusual foods. 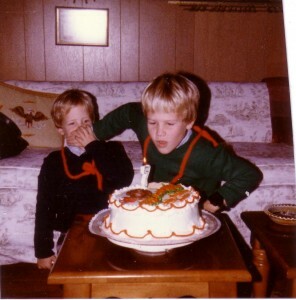 James and John focused on constantly improving and enlarging the bakery. 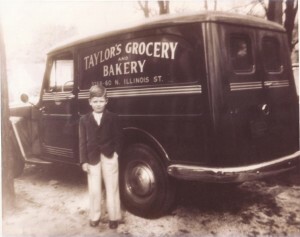 After Mr. Taylor’s death in 1962 the family business moved to 62nd and Allisonville Rd. where it is currently owned and operated by Mr. Taylor’s grandson, John, and his great grandsons, Drew and Matt Allen. The family opened another bakery in Fishers in 2003. 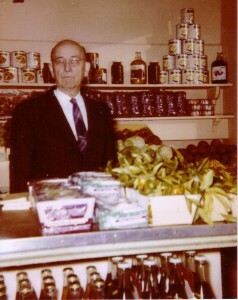 Dennis Orville Taylor stands behind the counter of the original grocery at 38th and Illinois. D.O. as he was called, founded Taylor’s Bakery on February 13th, 1913. Virginia Taylor Allen, daughter of D.O. Taylor, continued the family business with James Allen. Both graduated from Butler University where James (Speed) Allen was a track star. In 1968, John Allen opened a second store at 62nd and Allisonville Road. This became the main location in 1973 when the store at 38th and Illinois was closed. From 1976 through 1991, John had an additional location at 86th and Ditch. Drew and Matt Allen joined the family business after graduating from the Kelley School of Business at Indiana University. In 2003, they opened another location in Downtown Fishers with their Father, John. 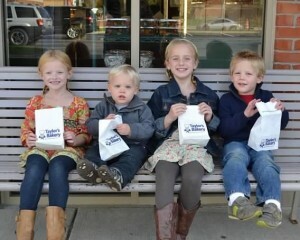 Madeline, Bennett, Olivia and Blake are the 5th generation of Taylor’s Bakery. We hope they continue in the family business!